Welcome to the second new blog feature of 2012: A life more Pinteresting! 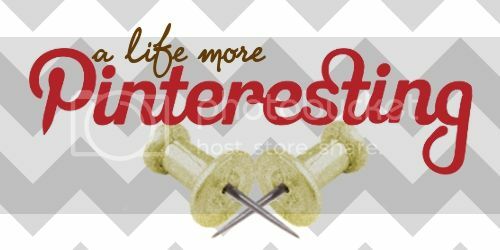 In August of 2010, I posted about a new obsession with Pinterest, the online catalog of amazingness. Since then, I've pinned more projects than I could probably finish had I two lifetimes to do them in, and yet, I keep going back. I occasionally find things that I then try immediately, or that are so cool I feel like sharing them with everyone I know, not just the people that follow my pinboards. That's where this feature comes in. I will be sharing these "things so neat, they can't be beat" (sorry) with you! 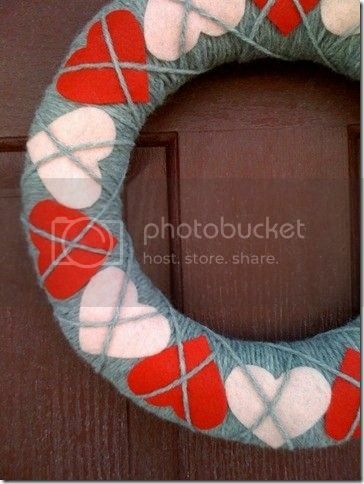 First up: A Valentine's Day wreath! 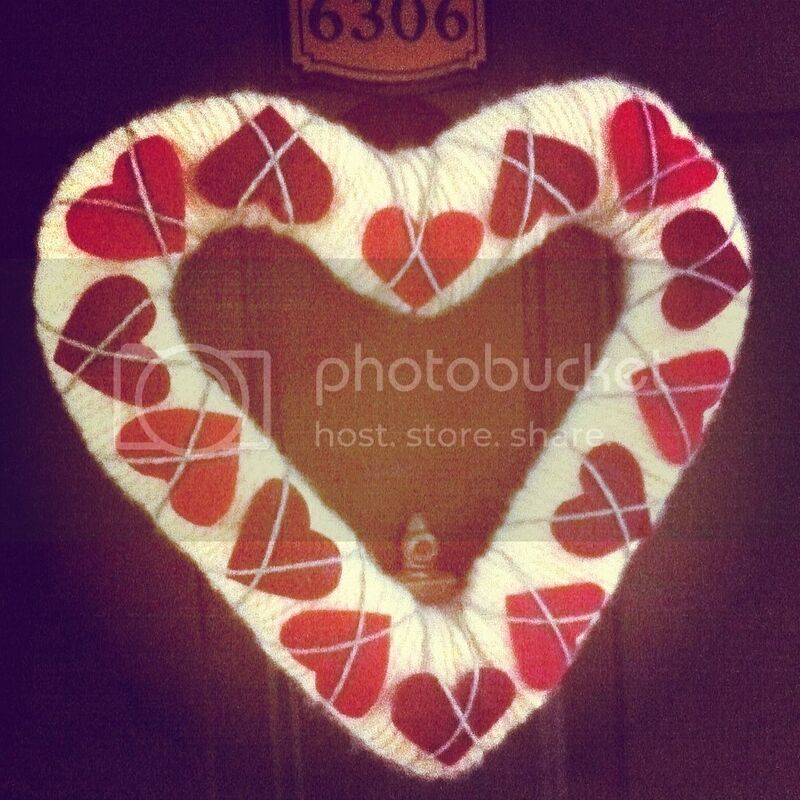 Last year, I started a Valentine's wreath by wrapping a heart-shaped straw wreath with white yarn. I feel like I had bigger plans that that when I started the project, but that's as far as it got. When I ran across this photo on Pinterest, I knew how I wanted to finish it. Pretty easy, really. Wrap a wreath in your chosen color of yarn, cut hearts out of two coordinating colors of felt, mash them on to your yarn-wrapped wreath so that they "stick," and then wrap a strand of yarn around the hearts to mimic an argyle pattern. I added a filter to it because it's been super dreary here and there's very little natural light coming into the hallway so the photo was really dark. But I think you get the general idea of color. I hope you'll enjoy this new feature as much as I'll enjoy finding things to share! P.S.-I know I have a lot of "features" on C&CC. In your opinion, do I have too many? Or do you enjoy the variety? CUTE!!! As you can tell by the amount of pins I have, I too am obsessed with Pinterest. But it makes for some cute, handmade projects around the house! It certainly does! I just wish I had more time for projects. Or just in general, haha! I'm sure you know what I mean. 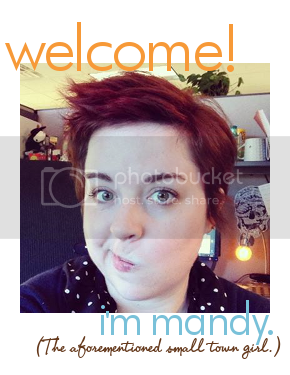 I really enjoy all your different features, it makes your blog multi-faceted! That turned out so cute! I never thought of making a wreath especially for Valentine's Day... Now I am! I'd love to see photos when/if you make one!